Health Resource Center – Baltimore Health is owned and operated by Passages Malibu, a world-class drug rehab center located in Malibu, California. Passages Malibu is responsible for all website content. How Does Safe Streets Work? What is the Role of the Outreach Worker? Who Can Be a Participant? What Happens if There is a Shooting Within the Target Area? What Communities Have Launched the Safe Streets Campaign? Safe Streets is a community mobilization and outreach program designed to combat shootings and homicides. This intervention targets high-risk youth aged 14 to 25, through outreach and service connection, and the community as a whole, through a media campaign and community mobilization. In its first year of operation in high violence communities in Chicago, CeaseFire achieved reductions in shootings and homicides of between 25% and 67%. The Health Department funds community-based organizations to implement the Safe Streets model in identified target neighborhoods. Safe Streets emphasizes the delivery of a unified message that violence is no longer acceptable through community organization and public education. 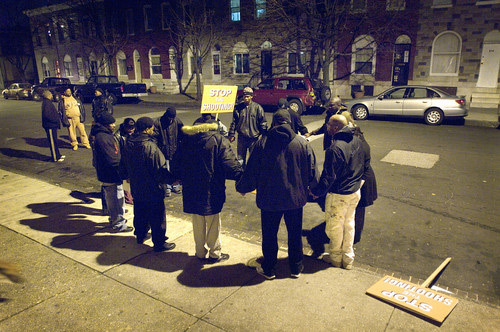 Safe Streets also incorporates and emphasizes a strong street outreach component, with outreach workers canvassing neighborhoods and connecting with high-risk youth and young adults during evenings and weekends to diffuse situations and link them to services. Safe Streets is a tool that communities can use to restore the safety of their streets and strengthen community bonds through community mobilization, outreach, public education, faith, and criminal justice community involvement. Outreach workers play a major role in the reduction of violence. They are individuals familiar with the community in which they work. Many have a history of involvement with “life on the streets.” This first-hand knowledge is imperative to their success. As a result of their own life experiences, they are better able to engage the high-risk individuals who are the focus of their work. Outreach workers are working in the community during the hours when, according to statistics, violence is more likely to be committed. They canvass the area, getting to know the residents and the individuals that are at greatest risk of becoming a perpetrator or victim of shootings and killings. It is the worker’s responsibility to stay informed of everything that is going on within the community. Outreach workers are there to intervene in potentially violent situations to reduce the chance that a shooting will occur. They have the ability to carry a caseload of 15-20 participants, and they will assist each participant with changing his life. By linking participants and their families to educational opportunities, employment training and assistance, mental health services, substance abuse treatment, etc., outreach workers help to provide individuals with options besides a life of crime and violence. Their sheer presence in the community weakens the attractiveness and romance of gangs and street life culture that often perpetuates violence. When a shooting happens, the Safe Streets site responds. Safe Streets sites partner with community members and local organizations to spread its message of nonviolence. Within seventy-two (72) hours of a shooting, Safe Streets organizes a community activity to call attention to the shootings and killings and to urge community members to join with others in speaking out against violence. Some examples of these activities, or “responses,” are peace marches, midnight barbeques, vigils, and prayer sessions. Through these responses, Safe Streets reaches out to the community to try and prevent retaliation or further violence. The Safe Streets initiative is currently operating in East Baltimore in the McElderry Park neighborhood and in South Baltimore in Cherry Hill. Copyright @ 2018 Baltimorehealth.org. This resource website is owned and operated by Passages Malibu, a world-class drug rehab center located in Malibu, California. Passages Malibu is responsible for all website content. All rights reserved.